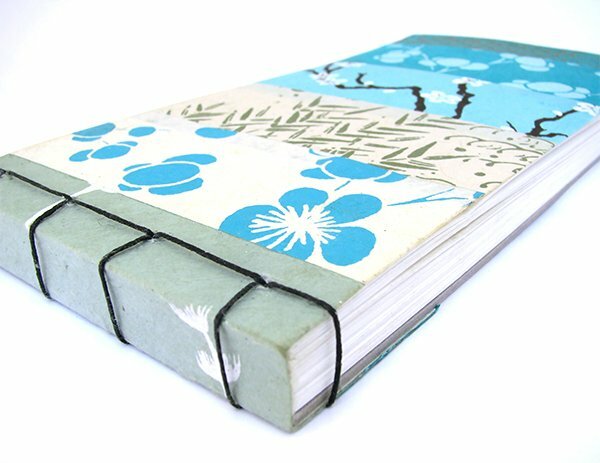 Welcome to book number 19 in the 50 Book Project, a simple 4-hole Japanese Stab Binding. Over the next few weeks I’ll be exploring a range of different stab bindings, but I chose a simple one to start with so I could practise using a hand drill. I’ve used one a couple of times before but it takes time to get used to it. 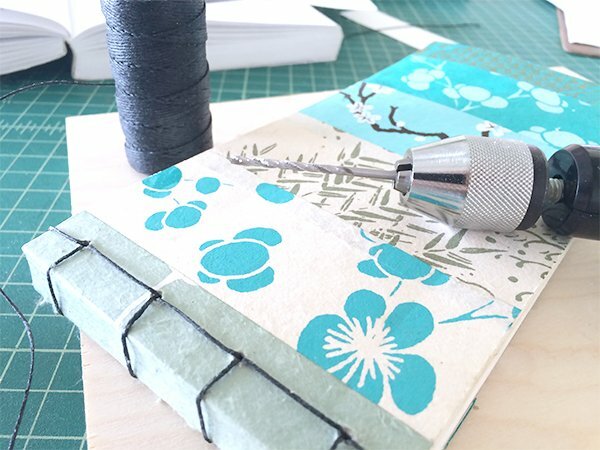 A paper drill is useful when you want to create holes in large book blocks, like the one above. I purchased an inexpensive drill by Fiskars but remember it doesn’t come with drill bits so you need to buy those separately. For stab bindings with a fewer pages, like the postcard books I made last year, you can use a Japanese screw punch or awl to make the holes. The front cover is a piece of handmade paper with Japanese motifs that I carefully glued to a piece of card stock for strength. 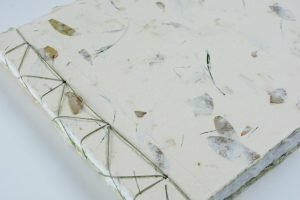 The front cover is wrapped around the book block and plain book board back cover and secured in the back with glue. 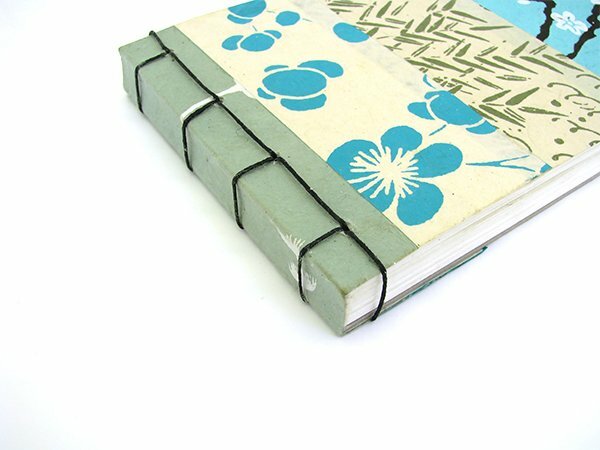 I like how this style of binding looks but it’s important to know that it doesn’t open flat. 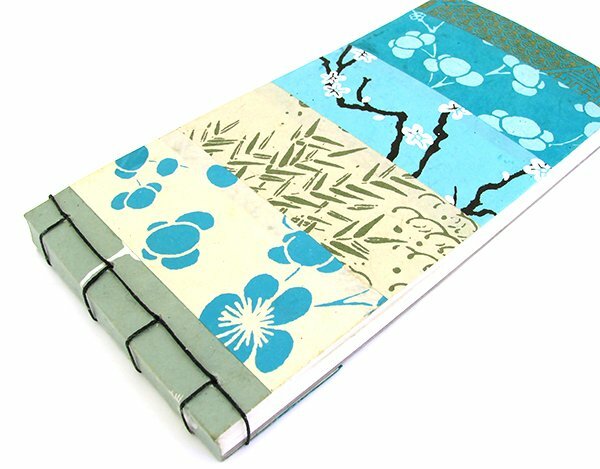 You can score the cover and pages to make them open more easily but it will never lie flat on the table. 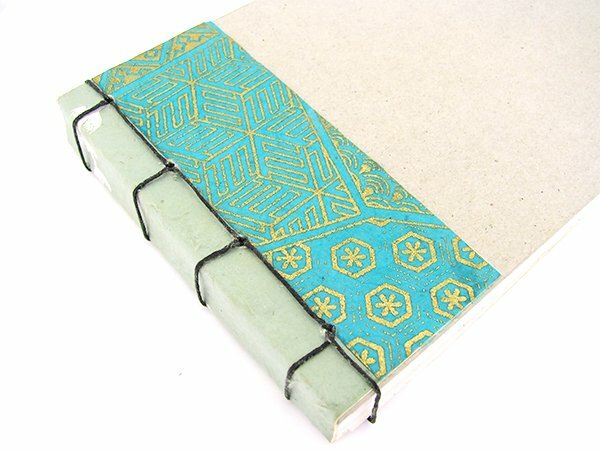 If you’d like to try the 4-hole Japanese Stab binding, check out this tutorial by Sea Lemon. 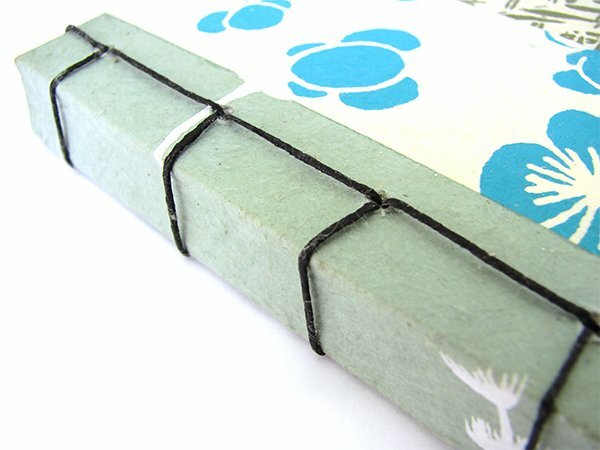 If you don’t want to miss this series of stab bindings, please subscribe to my newsletter.